This page includes information and links to local organizations with which the Respect Life Office has directly worked to provide families with life-affirming support during a time of need. To learn how your organization can be included in our list of resources, please contact the Respect Life Office. Alexandra’s House is a local community based, all volunteer, peer-led perinatal hospice and infant care system for parents pregnant with babies with lethal or sub-lethal anomalies, for pregnancies that end unexpectedly at any point, from any cause, and for infants who die in the community, any cause. Alexandra’s House does not interfere with or substitute for any existing medical, social, or hospice agencies’ services. What it does is to help fill in the many gaps in care that do exist, as defined by those who have lived the experience of caring for a dying unborn or newborn baby. ​The ideal time to consult Alexandra’s House is at the time of diagnosis or loss so parents are fully informed and to help alleviate some of the acute anxiety and very common feelings of isolation and abandonment. Alexandra’s House does not charge for its services nor does it accept contributions from people they serve. If a baby survives and is dismissed from the hospital, the family and baby can stay here for the duration of their life. Professional nursing services are provided through a licensed hospice agency. Please prayerfully consider visiting www.alexandrashouse.com or emailing care@alexandrashouse.com to learn more about Alexandra’s House and how you can provide much needed healing to your fellow-parishioners, family and friends who are suffering. In the meantime, please review Supporting Families Who Receive a Prenatal Diagnosis, an on-line resource available from USCCB. Receiving a diagnosis that your baby will have Down syndrome can be overwhelming. We are sure you are experiencing a range of emotions as you adjust to the diagnosis of Down syndrome. We invite you to contact our organization to offer you support. Contact info@kcdsg.org to be added to our mailing list, to request a welcome basket and receive Family and Friends support packets, to request a parent to parent match or to receive a support breakfast invitation. SSM Cardinal Glennon Children’s Medical Center, SSM St. Mary’s Health Center, and the St. Louis University School of Medicine collaborated to form the St. Louis Fetal Care Institute in the Spring of 2009. The Institute was formed under the principle that with advanced diagnostic tools, a team-oriented approach, and highly skilled, dedicated specialists, unborn babies with complex problems would have better outcomes and families would have better patient satisfaction. 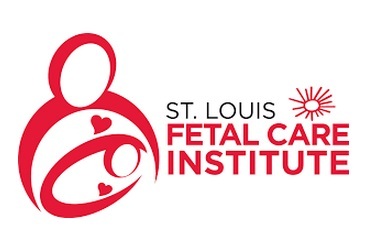 The St. Louis Fetal Care Institute is comprised of a team of knowledgeable fetal and pediatric surgeons and maternal fetal medicine specialists, with the guidance of fetal care coordinators, neonatologists, pediatric specialists, anesthesiologists, genetic counselors and ultrasound technicians. The goal of the St. Louis Fetal Care Institute is to provide a positive experience that recognizes the uniqueness of each case and family situation. The entire team aims to provide families with the most accurate diagnosis, while helping them understand their situation and prepare for the birth and needs of their baby or babies.